At the first World Cup moguls skiing event last season in Ruka, Finland, Troy Murphy wore bib No. 27. The top competitors at each event get the low numbers, so 27 put him in the middle of the 56-skier field. At the last event of the season, he wore bib No. 6. A season of consistent performances helped Murphy, who is from Bethel, Maine, and learned to ski in New England, rocket up the leaderboard. He is now the top-ranked moguls skier in the United States, and as the qualifying season begins this weekend ahead of the Olympics in PyeongChang, his coach expects even better things. “I would say he’s probably our No. 1 hope right now as we load the plane right after Thanksgiving to head over to Finland,” said US moguls coach Matt Gnoza. Murphy, 25, did not hit the podium last season, but had six top-10 finishes and three more just outside the top 10 in what he called his best season yet. Murphy got into mogul skiing when he was 10 years old after he was spotted riding dirt bikes by Jeff Yingling, who was the head coach of a freestyle skiing team at Murphy’s “home” mountain, Sunday River. “He was riding dirt bikes with us one day, and he figured if you were riding dirt bikes and hitting jumps and stuff like that, you might be a good fit for freestyle, so he kind of suggested I try it,” Murphy said. He progressed from weekend programs to a competitive program at Gould Academy, where his father, Matthew Murphy, worked as an information technology specialist and his mother, Nancy Coleman-Murphy, worked as a nurse. After high school at Gould, he decided he wanted to see how far he could go with freestyle skiing. “When I started training full-time, I realized how much ground I had to cover, but I made that up very quickly, and I went from not qualifying for the Nor-Am tour one year to qualifying for the North American World Cups the next year, so that was a pretty rapid progression,” he said. 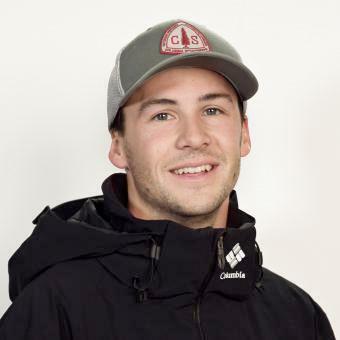 He moved his base of operations to Park City, Utah, to work out full time at the US Ski Team’s main training center as well as the Utah Olympic Park, where he can practice the jumps that are a hallmark of his moguls skiing even in the offseason on the water ramps. Jumping accounts for 20 percent of a moguls skier’s score — there are two ramps on each run — and it’s an aspect of the competition that can distinguish a skier from the field. Murphy takes pride in having two high-level jumps — a back flip with two twists off the top ramp, and a corkscrew 1080 at the bottom jump. “If you’re doing difficult jumps and doing them well, that gives you a huge advantage,” he said. Gnoza said in a judged sport, big jumps make a big difference. “When Troy enters the course out of the start gate there’s only a small section of moguls, and then he kind of announces his presence when he hits that top air. 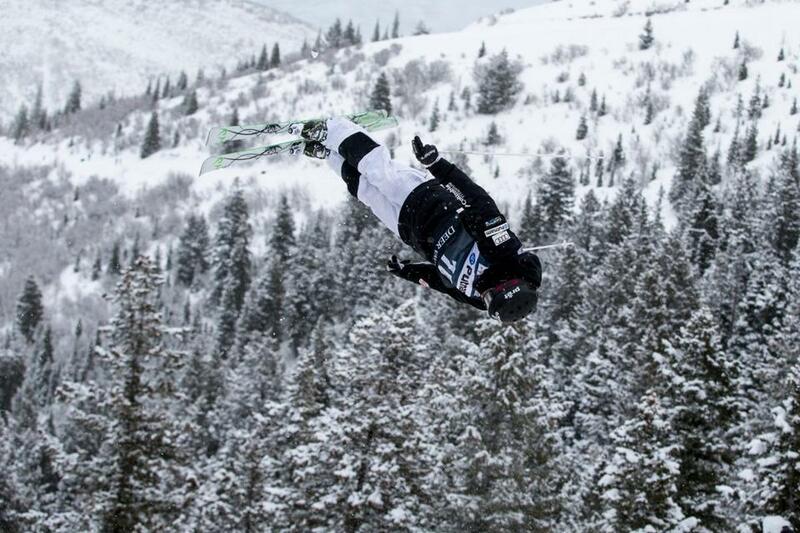 He has one of the biggest jumps in the world that he performs off that top air,” Gnoza said. Troy Murphy focuses on performing jumps with a high degree of difficulty. 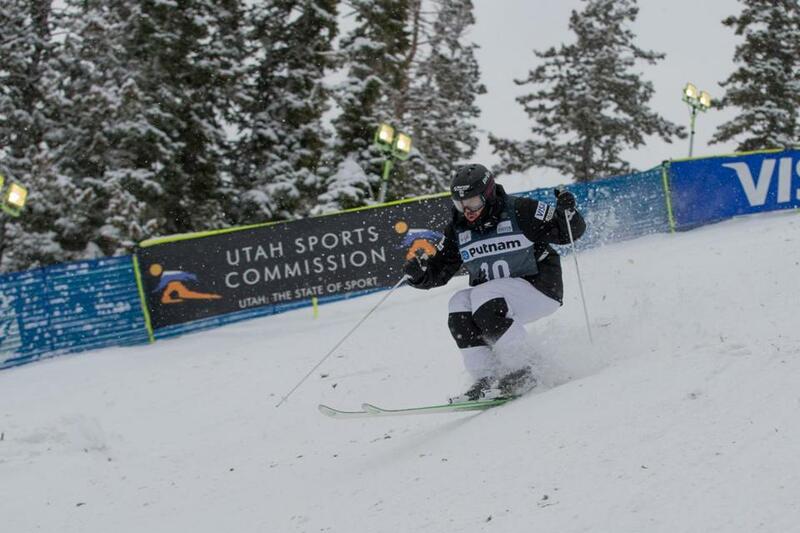 But a big reason for Murphy’s ascension in the world rankings is he has worked to improve every aspect of his skiing. “His mogul skiing has also improved immensely. His strength has always been his jumps, and now his skiing has caught up to his jumps, and we’ve kind of got the whole package — the speed, the air, and the turns for sure,” Gnoza said. When he’s not skiing or training for skiing, Murphy’s interests don’t stray far. Punching a ticket to PyeongChang, though, is top priority. He spent the summer and fall training, and said he’s skiing the best he ever has. “I missed Sochi by a spot, so this one for sure, it would be huge. That has been my goal forever, so definitely have my sights set on it and I’m feeling good,” he said. Follow Matt Pepin on Twitter at @mattpep15.